This is a specialist edit that will help you communicate more clearly with your readers. It is also known as plain-language editing. Plain English is concise, everyday language that tells the reader exactly what you mean. It’s about making your message as clear and straightforward as possible, without altering the meaning or ‘dumbing it down’. For more details about what plain English is and isn’t, read the plain-English FAQs. 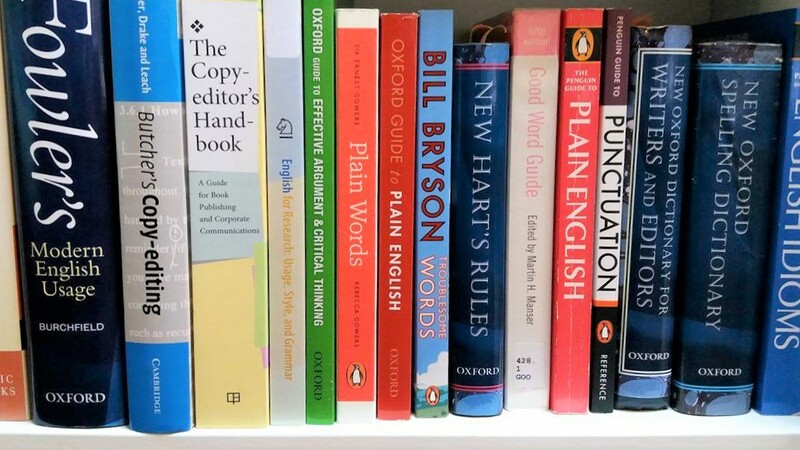 Using plain English builds your reputation by putting your reader first – whether they’re a customer, a colleague or a member of the public. It gets your message across more effectively and often in a friendlier, more direct and more open way. Apart from being kinder to your reader, using plain English saves you time and money on sorting out misunderstandings. For example, a clearly worded application form will help make sure you get the right information the first time so you don’t have to waste time contacting people again. Clear, readable terms and conditions will help make sure people stick to them. What kind of documents is it for? If your document provides information or asks the reader to take action, it would benefit from a plain-English edit. Here are just a few examples – you can find more in the FAQs. Websites and other marketing documents. I will use editing techniques to make the language more direct, concise, consistent and straightforward. I’ll also remove repetition, jargon and ambiguity. I’ll split up long sentences, replace uncommon words with more familiar ones, use bullet points, use grammatical structures that are easier to process and use ‘I’, ‘we’ and ‘you’. I’ll also remove repetition that isn’t needed, highlight inconsistencies, explain technical terms (or ask you to explain them), and define acronyms. For a more detailed list, please read the FAQs. Because each document and group of readers is different, the changes I make may vary slightly. I will discuss the appropriate changes with you before I begin. I can make editing suggestions using tracked changes in Word or on hard copy, whichever is more convenient for you. If you would like me to provide a report or sample edit to show you how these techniques can make your writing clearer, please get in touch. Can you provide a report instead of a full edit? Yes. I can provide a report on how you could make your document (or set of documents) clearer. I will identify where improvements can be made, provide ‘before and after’ examples based on the text in your documents, and explain the kinds of changes you could make to improve the clarity. If you then decide to go ahead with a full edit, I will offer you a discount. For more information, please contact me. Because each project is different, I will agree the price with you individually. My price is based on how complex the document is, how long it is and how urgently you need me to return it. Please contact me for more information and a quote. Will you keep my documents confidential? I will keep your documents completely confidential and will provide and sign a non-disclosure agreement if necessary. I can edit a portion of your document to show you how plain English could make it clearer. For more information, please contact me. I can provide a report on how to make your document clearer. I'll identify where improvements can be made, provide ‘before and after’ examples and explain what changes would improve the clarity. For more information, please contact me.